Two New Patterns Just In Time For The Holidays! Two new patterns just in time for the holidays! 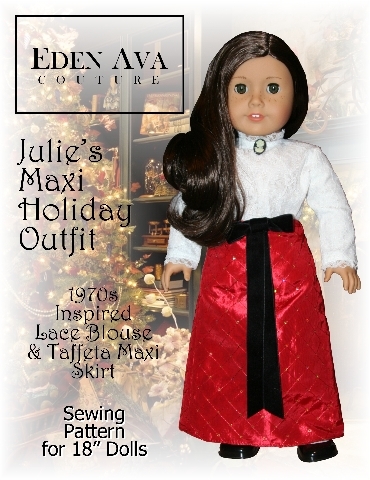 The first is a Maxi Holiday Outfit for Julie….true 70s style! Maxi skirts were so popular in the 70s especially around the holidays. This outfit was inspired by an actual outfit from 1971. The second pattern is the Frozen Hot Chocolate Holiday Dress! Creamy velvet, a touch of chocolate , a dash of bling… that’s the recipe for a perfect holiday dress. Both available for purchase at Liberty Jane Patterns. ← 1970s Reversible Halter Top & Scooter!